Charl attended the Chinese Chemical Society’s meeting in Chengdu, Sichuan province, China from the 13-16th of April. He had the chance to visit the local panda park close to Chengdu with colleagues. 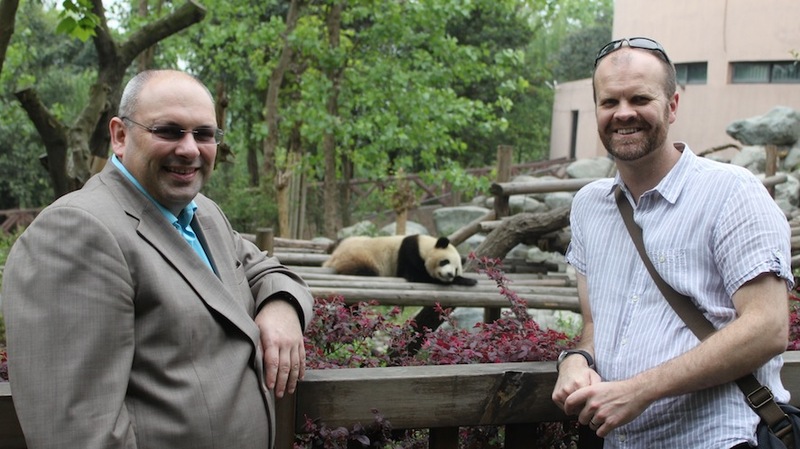 Here he is with Dr. Jose Oliviera, the Editor-in-Chief for the journal “Small”, in front of a very lazy panda! This entry was posted in ISA group, Social by Faul Research Group. Bookmark the permalink.